This pack is great for gifts or to be used as a great starter kit. 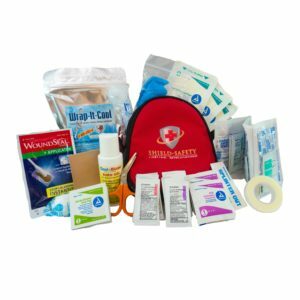 These items act as a great addition to any standard first aid kit. 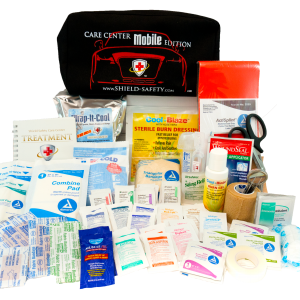 Each product included offers unique benefits to help with accidents that come up. 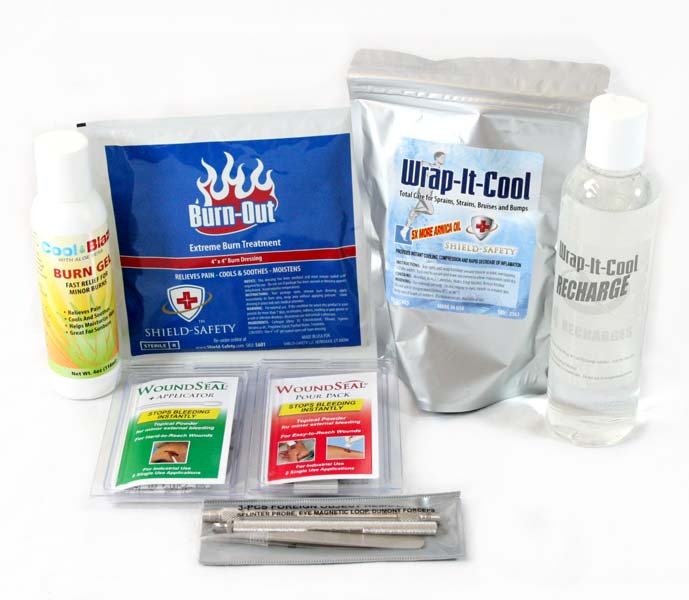 It comes included with the foreign object removal kit, Woundseal with two powders, Woundseal with two applicators, Wrap It Cool, 4 oz Bottle of Cool Blaze Burn Gel, Burn Dressing, and Treatment Guide. 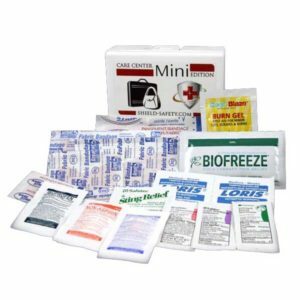 This pack offers unique products that can help with accidents. 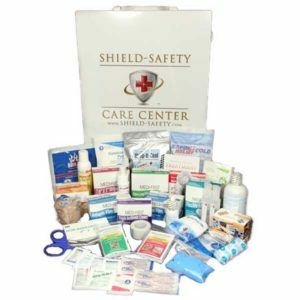 This is a great option to have in the home or workspace for emergency preparedness when accidents occur, in addition to a standard first-aid kit. It comes with 8 essential items that can be used in various accidents. Foreign Object Removal Kit that helps with the removal of fragments stuck in skin or eyes, with special magnify glass feature. Wrap It Cool, a stretchy saturated 2 meter long bandage that helps relieve and minimize aches, swelling, and bruises with Recharging Liquid (used to re-saturate wrap it cool bandage so that wrap can be reusable). Burn Dressing, a saturated dressing that relieves and soothes burnt areas of skin. Treatment Guide, a booklet giving instructions of how to handle common accidents that occur and how to use these unique products listed above.